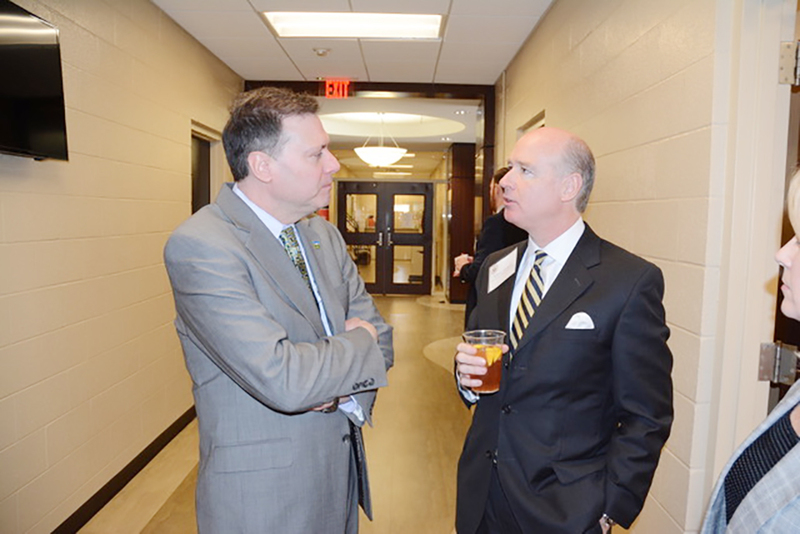 Tim Thomas (left), ARC federal chairman, is shown discussing the opioid issue with Congressman Robert Aderholt during a break in the meeting. The issue of substance abuse goes far beyond just addiction. A meeting of the minds between local, area, state and federal officials was held Wednesday, March 20, to seek solutions to bridge the gap between recovery from drug abuse and the successful placement of those who find themselves facing addiction back into society.